Marijuana vacations in the U.S. So spring is coming and some of you are, might be, or thinking about looking to take a marijuana vacation. By the emails we from our great subscribers we are asked a few common questions that we will cover on this post. We will be reflecting back here and there on other posts we have made before. Where to stay? Marijuana Friendly Lodging. Well that is getting easier by the month as more properties come available to marijuana use for guests. The elite class of the cannabis friendly lodging are the luxury condos and the Bed & Breakfast’s. Both have there great points and draw backs. There are also hotels, homes and rooms for rent. We have a little insight below for you. 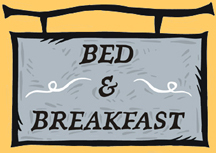 Now if you want to be catered to, room made up, food cooked for you, snack through the day and be able to smoke cannabis on property, then a cannabis friendly Bed and Breakfast is for you. There are a dozen or so of these now throughout Colorado, Oregon and Washington. The amenity’s and ambiance of these places run the gambit from very old school charm, a cozy rustic cabin feel all the way to the quirky, eclectic type of decor. They offer breakfast, snacks and drinks through the day for their guests. Some B&B’s are a multiple cabin type of property and have places for you to have some fun and explore. One in Colorado has hot tubs in every room. Some are located in the remote areas of the cannabis friendly states, so rental cars are needed to get around. Prices are from $120 to $399 a night. We have most of them listed on our site here. Click picture to book this view! Ok now, if you are more of a self sufficient, but love “luxury lodging” type of traveler who wants a full kitchen, multiple bedrooms & bathrooms, city views, a fully loaded cannabis bar with water pipes and all the tools needed to enjoy yourself…. then a cannabis friendly condo is the way to go. Now there are only a few of these great places to get for your marijuana vacation so you have to book very early, at least 60 days ahead to get the days you want. Most of them listed here on our site, are luxury accommodations with 2 bedrooms/king beds, full functioning kitchens, complementary bud bars, recreational items like pool tables, darts or games, full audio & video systems hot tubs and pools. And all have great views of the city from balconies or decks for you to blaze on while taking in the city lights. These “Cannabis Condos” or “Dab Pads” are great for those who like to get into the heart of the city and can walk, or cheaply Uber their way to most of the cool places of interest. Denver has the most of these and they are all located in great areas of this very clean “mile high” city. These can run from $250 to $399 a night. We have them listed here. Now there are only a few hotels that cater to the cannabis traveler or at least try to. Most hotels nowadays are a total “no smoking on property” type of places and we don’t list them. One hotel we like to stay at is the Crowne Plaza Hotel in Denver. Most tour companies use this one as they have a roof top area with a closed in tent for the smokers. They also allow vaporizing in the rooms. But don’t blaze in the rooms or that can come with a hefty cleaning fee, and please be discreet. Other hotels have tobacco smoking rooms and allow marijuana smoking in them also, with these it is a good idea to call ahead and ask. These are great as you can blaze inside or on the balcony and relax. But you do have to deal with the smell of tobacco smoke in them. We suggest calling and asking first when booking a smoking room, to be sure the rules have not changed. We have the smoking room hotels listed here. So if you have a larger group traveling for a marijuana vacation, you can rent a whole marijuana friendly house or cabin. There are now quite a few of these weekend to monthly rentals for your marijuana vacation. Some are your basic house, 2 to 3 bedrooms, bathrooms, kitchen, backyard in residential neighborhoods. Or you can get cabins in the mountains of Colorado with trails and back country to explore with wildlife all around. All allow smoking outside in designated areas and some allow it inside. Be sure to use the Google maps satellite view in each listing to see what the neighborhood looks like before you book. These can cost from $110 to $250 a day and some have to be rented for weeks at a time. You can find them here. If you travel light and cheap and want to have an affordable marijuana vacation then a 420 friendly room for rent is a great option. These can be found in many variations with just as Some are rooms in condos, residential places and others are rooms in cool old buildings. Most have you staying in the extra room, you normally have use of a few house places like the kitchen and bathrooms, some have private baths. Some have breakfast or dinner included. Some allow smoking inside and might even light up the first joint! These can cost from $50 to $150 a night and are listed here. What to do? Cool cannabis friendly things for you to do. Your here to enjoy some cannabis right? But where do you start? What kind to buy? Sativa Indica? What are concentrates? How much should you get? Find some great info here. Where to buy it? That’s easy just find the closest retail marijuana store to you here. So if you want to see the marijuana industry and have fun getting high and also learning about this great plant, then a marijuana tour is a great and very fun thing to do. These tours can be private where its just you and your group or spouse shopping, smoking and seeing the cannabis industry or just sightseeing. There are also public tours where you ride on a bus with others shopping and smoking. We have a great article already written for you to read that’s all about marijuana tours here. These are places where for a price of a membership you can enter and smoke your weed in a bar type of setting with other adults. All are located in Colorado Springs and have limited hours of operation. So we suggest visiting them before they go away as a lot of cities don’t want them. We have them listed here. We have a lot of the iconic landmarks as well as the not widely known places listed on our site for the sight seers, so if you want to see what cool things are close to you then use our maps to see whats close to you and you can also find them here. Now it is a good idea to look up the laws of each state before you go we have that here. We have many more tips for you listed here, so go out see the wonderful world of the United States of America and enjoy responsibly.